The T-Ring is needed to attach a camera body to a camera adapter T-Thread for photography through a telescope. Some of the T-Rings below will fit other brands of camera bodies. See T-Ring Reference to cross-reference your camera body with the correct T-Ring. 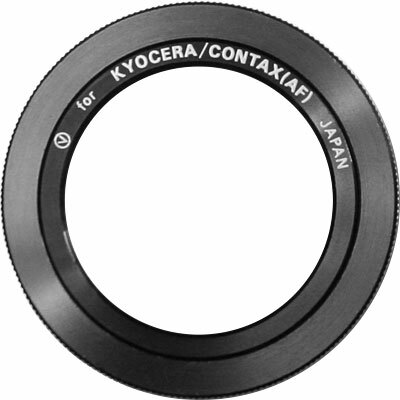 This Yashica AF T-Ring is also marked for Kyocera and Contax AF cameras that use that common mounting system. See Prod. No. 3742-05 in T-Ring Reference link at top. Made in Japan. T-Ring for Minolta α Auto Focus camera. α models were marketed as Maxxum in the US. Later, the system was known as Dynax. Sony acquired the α mount from Konica Minolta. See Prod. No. 37303-1 in T-Ring Reference link at top. Made in Japan. 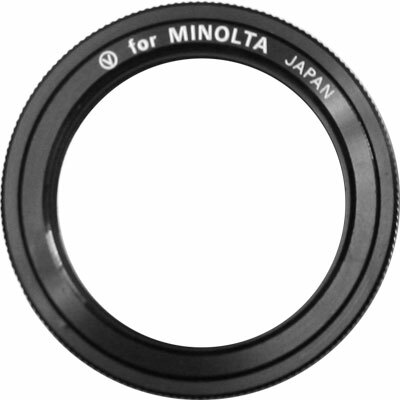 T-Ring for Minolta manual focus camera bodies. See Prod. No. 37304-8 in T-Ring Reference link at top. Made in Japan. 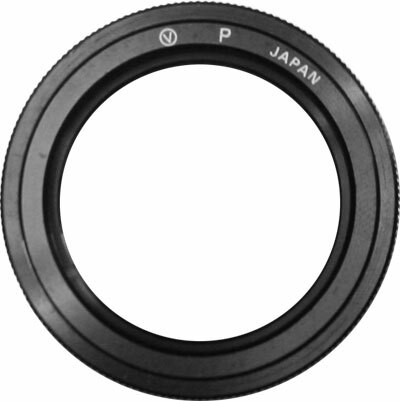 T-Ring for Praktica also fits certain models of Pentax, Yashica, Fujica, Mamiya, Ricoh, & Petri cameras. See Prod. No.37307-9 in T-Ring Reference link at top. Made in Japan. T-Ring for Konica manual focus bodies. See Prod. No.37312-3 in T-Ring Reference link at top. Made in Japan. 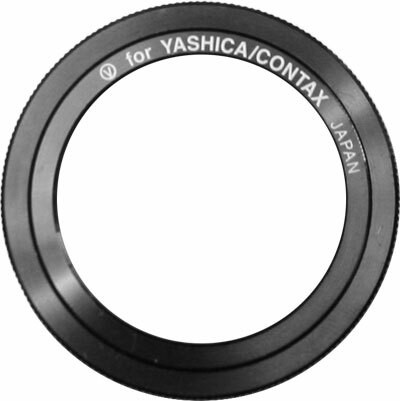 T-Ring for the common Yashica / Contax mount used on manual focus camera bodies. See Prod. No.37309-3 in T-Ring Reference link at top. Made in Japan.